Upon close inspection, the number on the house reads "81", however the back places the house at 18. It turns out the negative on this card was reversed; this has been corrected on this site. 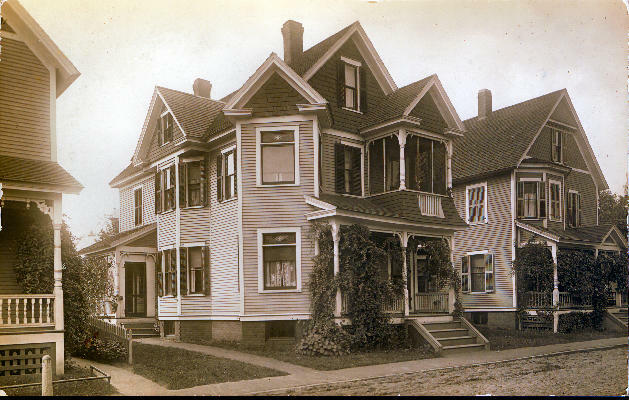 Home of Elijah Goddard, 18 Welcome Place, Springfield Mass.